World of Warcraft subscriptions have fallen again, Blizzard reported two weeks ago. WoW player numbers peaked in the wake of Wrath of the Lich King, but have been falling year-on-year ever since. Mists of Pandaria offered a brief upsurge, but Blizzard aren’t even counting on one of those come Warlords of Draenor’s release in November. WoW is still the biggest subscription MMO in the world, but it might never see another peak. The developers do hope to pull in both new players and lapsed subscribers with Warlords of Draenor, however. That’s what the level 90 character boost that comes with every copy of the expansion is all about. This kind of frankness isn’t usually reserved for the press, but it’s typical of the developers. Neither Blizzard nor Activision’s shareholders are under any illusion about the direction WoW is headed – they’re concentrating on cushioning its fall and looking after the 6.8 million subscribers it still has. 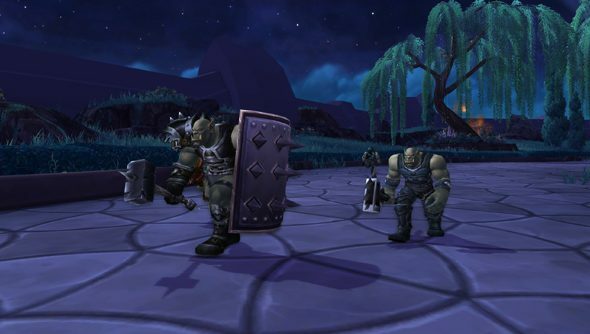 Our Tim argued that last September was the time to return to World of Warcraft. Did you?